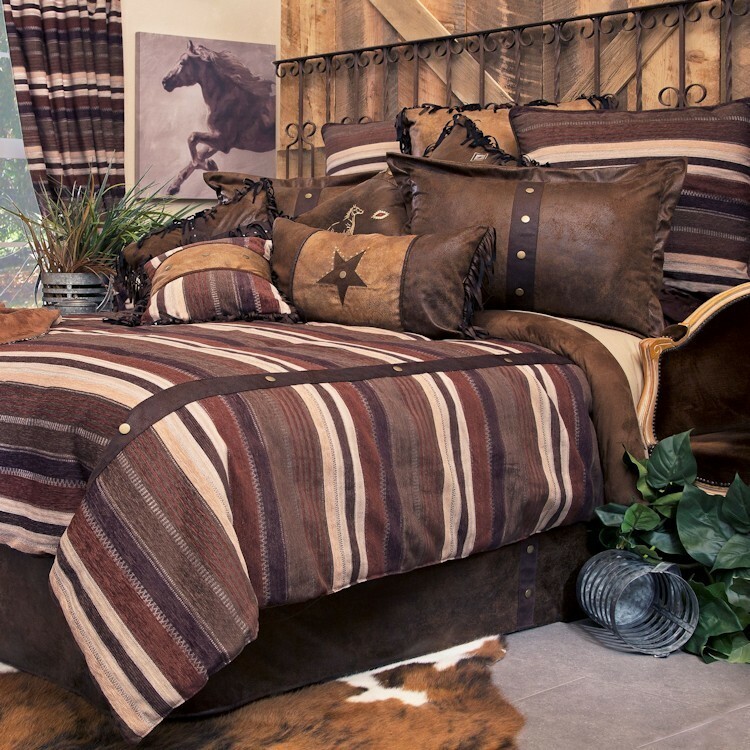 The Old West Stripe Comforter Sets will add a rugged look to your room. 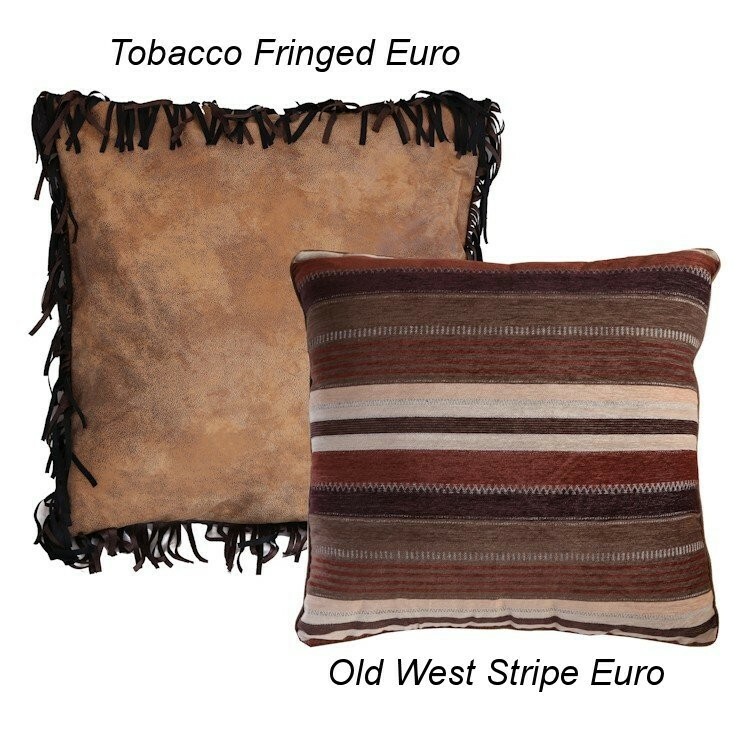 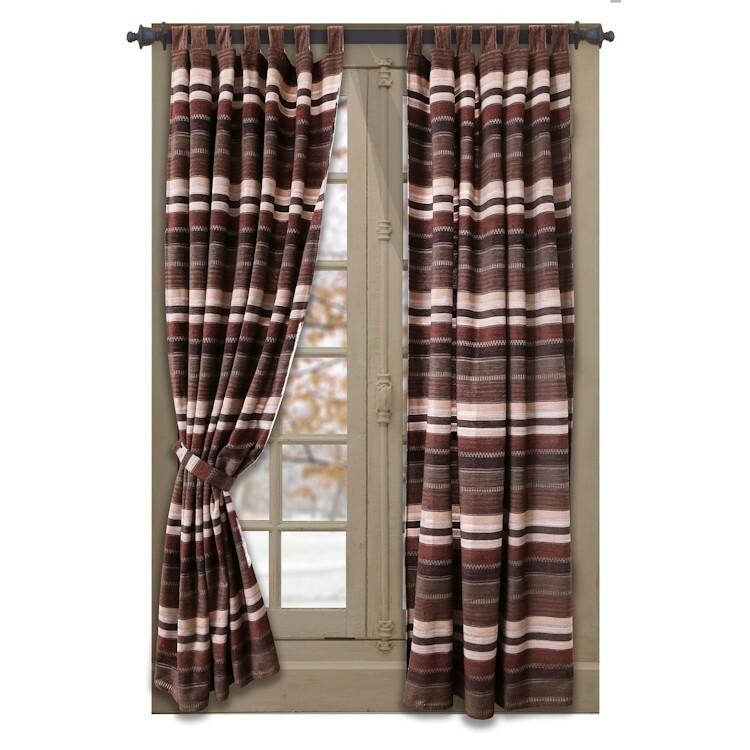 The striking, wide stripes of the comforter in soft chenille with chocolate bands along the seams are accented with antique brass rivets defy the lawlessness of the frontier. 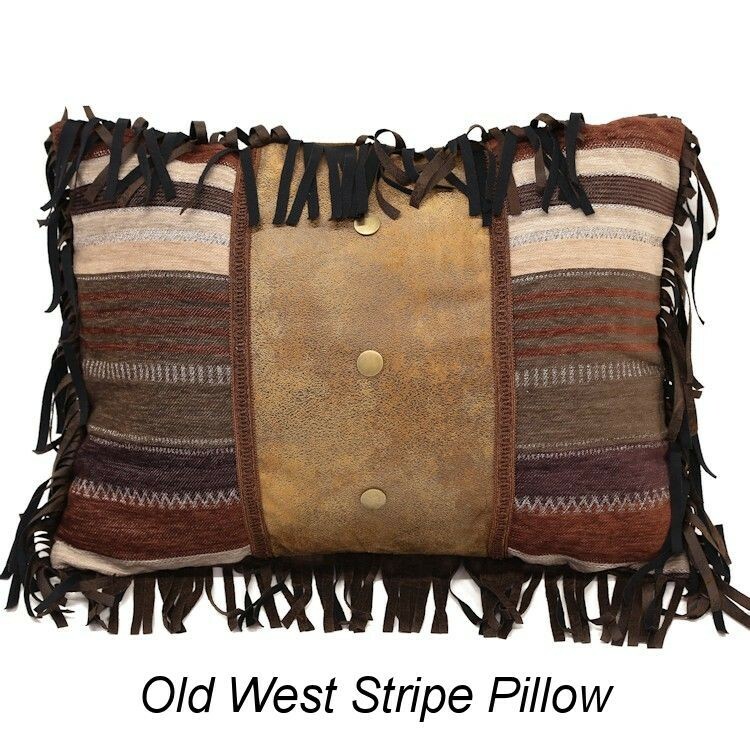 The bold pattern and deep colors mirror the strength and courage of early settlers. The tailored bed skirt in faux leather compliments the comforter and euro shams. 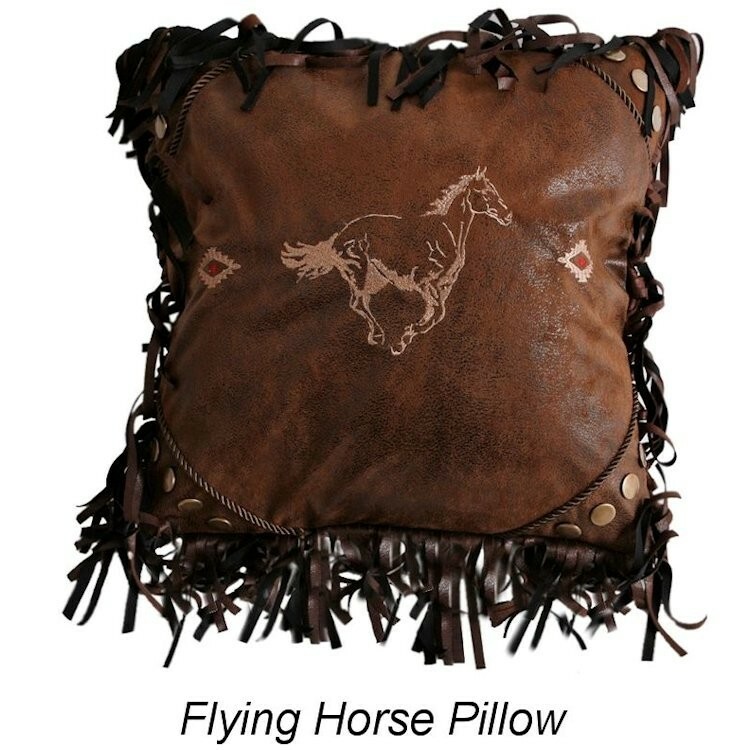 The pillow shams are rich faux leather that is echoed on the applique star accent pillow.